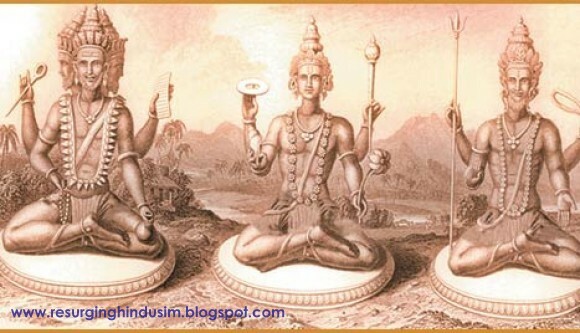 Some American law-makers recently characterized Hinduism as pagan. This raises the question: is Hinduism a pagan religion? The Abrahamic religious traditions, as Judaism, Christianity, and Islam are collectively called, associate paganism with the worship of many gods, and their many idols. The former is condemned as polytheism and the latter as idolatry; and the two are viewed as inextricably intertwined forms of worship, which has been superseded in the aniconic monotheism and which these religions self-consciously uphold and propagate. Hinduism at first blush appears to conform to paganism. It seems to worship many gods and seems to do so by worshipping different images. It thus comes across as polytheistic and idolatrous and therefore pagan. This perception fuels the missionary zeal of the Abrahamic religions to destroy such paganism. There is only one problem with this scenario. It is based on a false presumption. It is true that there are many gods in Hinduism and that it abounds in image worship, but while these various gods are considered different gods in paganism as traditionally represented, in Hinduism they represent the various forms of the one and same God. Thus a plurality of gods does not denote polytheism in Hinduism but rather the plurality of the forms in which the same one God might appear. A new word such as polyformism may have to be coined, or an older word polymorphism may have to be invoked, to be set beside polytheism, to provide the corrective. The Hindu situation is characterized not by polytheism but what might be called at best “apparent polytheism,” because the reality underlying all the different gods is the reality of one God. Hence, ironically, the situation could also in a sense be described as one of “apparent monotheism,” in the sense that the one God appears in various forms. The explanation may not have convinced Bernier but Hindus apparently have no difficulty with it. Sometimes Abrahamic parents wonder whether this plurality does not end up leaving the Hindus confused, and particularly their children. For the Hindus, however, such plurality does not create any confusion of identity, no more than several pictures of us in our album, taken at different stages of our life and in different forms and dresses, causes us to become confused about our identity. This then is the great difference between Hinduism and the Abrahamic religions. Monotheism in Abrahamic religions represents the denial of gods in God, while the monotheism of Hinduism represents the affirmation of gods in God. Failure to recognize this tempts the followers of Abrahamic religions into branding Hinduism as pagan.